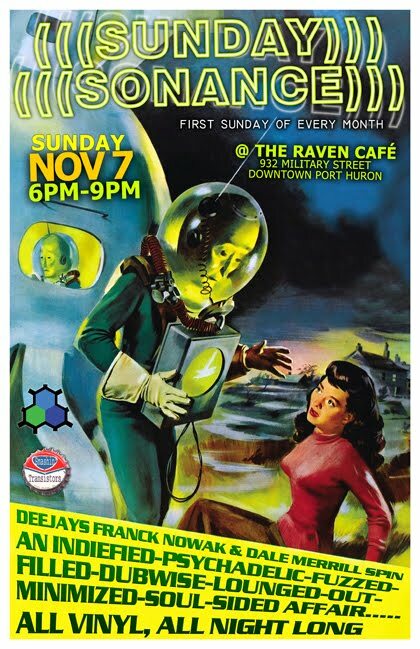 The first Sunday of every month Mr. Franck and yours truly drop the needle on some tracks at the Raven Cafe in downtown Port Huron. People come in to listen and enjoy the food, drinks and folks while they are there. Conversations, fun and games always happen. Our next one is on November 7th. If you're in the area stop on by and say "Hi"